Watch American TV channels live as shown in the USA or on catchup services like Netflix, Hulu Plus, HBO, Showtime, Fox, NBC, ESPN etc. Watch from wherever you are, on any of your devices. Sign up to Liberty Shield and unlock all websites with our VPN, Proxy or a VPN Router. Connect instantly to our USA based VPN or Proxy Server on any of your devices. Watch USA TV live or on-demand for free from wherever you are. Now watch USA TV from anywhere on any of your devices. Which US TV channels can I watch? Netflix is probably the most popular due to the mass of content available with their American version. Others you can watch include Hulu, HBO Now, HBO Go, NBC, FOX, AMC, Disney, CBS, ABC, FX, Showtime Anytime, Starz and Amazon Prime. As well as DirecTV, Comcast, Dish etc. What about American sports networks? With a USA IP address you’ll be able to access free live streaming (via suitable US cable subscription) such as ESPN, NBC Sports, BeIn Sports, NFL Network, Fox Sports etc. You can also access pay monthly services such as Fox Soccer 2Go, Willow TV Cricket, NFL Game Pass, NBA League Pass, MLB.TV, MLS, NHL GameCenter, UFC Fight Pass and WWE Network. VPN stands for Virtual Private Network which is a method used to add security and privacy to private and public networks, like WiFi Hotspots and the Internet. VPNs are often used by corporations to protect sensitive data and by individuals to ensure online privacy. A VPN Router will provide your home or office with the ultimate in VPN connectivity. Liberty Shield’s VPN Routers simply plugin to your existing router & provide a secondary WiFi network for the country of your choice. You then simply connect all of your devices to the new network. A proxy server is computer that functions as an intermediary between a web browser (such as Internet Explorer, Firefox, Safari or Chrome) and the Internet. Proxy servers help improve web performance by storing a copy of frequently used web pages and can be used to change your location and circumvent geo-blocking. 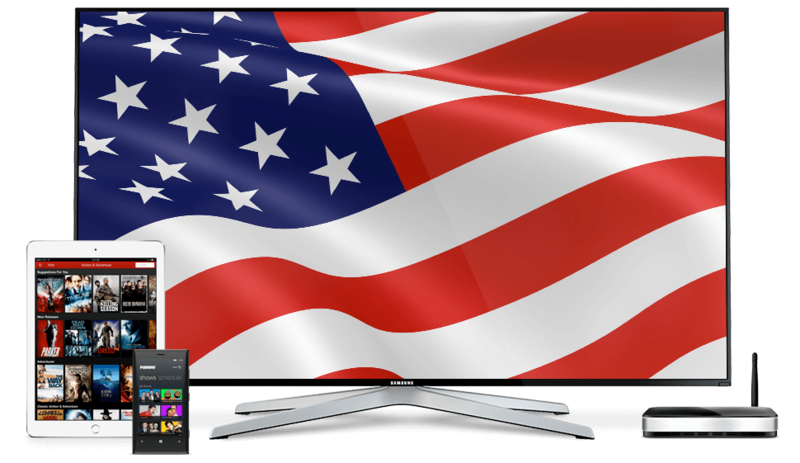 Is it legal to use a VPN or Proxy to watch USA TV? We genuinely love hearing what our customers think of our service and use TrustPilot to ensure all testimonials are credible and verified from real customers.